Up to 12,500 staff at Telefónica España will be given the chance to make mobile payments in shops and use NFC to access buildings and parking, the mobile network operator has announced. In the first phase, NFC phones are being made available to 1,000 employees. The programme will then be expanded over time to include the entire 12,500-strong workforce at the mobile network operator’s District C headquarters. Three leading Spanish banks — La Caixa, BBVA and Bankinter — are taking part in the project along with Visa, Samsung, Oberthur, food services group Autogrill and Giesecke & Devrient. 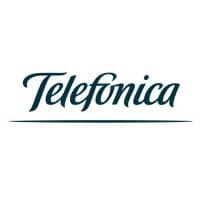 “By launching this initiative and other similar projects which we will deploy in other countries where we operate, Telefónica aims to prepare for deployment in Spain and lead the way in NFC development,” said Guillermo Ansaldo, president of Telefónica España. The employees taking part in the trial will be able to use their NFC mobile phones to make payments at retail outlets on the business campus and in local establishments, says Telefónica. They can also access their office buildings by simply presenting their phone to an entry turnstile and can load ‘meal cheques’ into the phone to pay for meals and beverages at catering facilities on the complex. The trial comes after the company announced in March it was collaborating with Spain’s two other main mobile phone networks to promote the development of mobile NFC services in the country and after the successful completion of an NFC payments trial in the resort town of Sitges. Vivotech and Ingenico set for battle to buy Hypercom’s US POS business from Verifone?